The demand for retirement villages in Malaysia can only go up in view of the increasing number of senior citizens in need of a home to live out their golden years. AS the saying goes, nobody is getting any younger. And neither is our nation. Nevertheless, Malaysians are living longer too, with the average life expectancy for Malaysian women being 77 years and 72 for men. However, more senior citizens are living alone or with their spouses only, based on a report on population ageing by the International Council on Management of Population Programmes and the International Planned Parenthood Federation. The proportion of older adults living alone in Malaysia spiked from 5.1% in 2004 to 9% in 2014, with women more likely to live by themselves compared to men. With all these factors at hand, the need to live well in our golden years becomes more important, paving way for the development of retirement villages here. While its concept is still relatively new in Malaysia – there are currently about four retirement villages nationwide – such living settlements for senior citizens are poised to grow to cater to the ageing population. Differing from nursing homes for residents who require more care, a retirement village mainly caters to more independent senior citizens. To ensure they are accessible and age-friendly, the Government will come up with guidelines on the physical planning of such elderly living settlements. The proposed guidelines are expected to be presented to the National Council for Local Government by this year, before being brought to each state to be adopted. Under the proposed guidelines, a senior citizen or retirement village is defined as a planned area where within its boundaries, are elements of accommodation and support services. It has been proposed that such villages should accept residents aged above 55, who can live there voluntarily, whether on a long-term or temporary basis. The guidelines are being drafted by the Urban Wellbeing, Housing and Local Government Ministry, through its Town and Country Planning Department (PlanMalaysia). “It will be a reference point for government agencies, local authorities, developers, private companies and non-governmental organisations in preparing settlements and facilities for senior citizens,” the department tells Sunday Star recently. Such proposed guidelines will enhance the quality of life for senior citizens, in tandem with the Health Ministry’s soon-to-be tabled Aged Healthcare Act. The proposed Act, among others, will prevent squalid conditions in old folks homes by punishing operators that provide inadequate care and facilities. But even now, developers are already noticing the potential in building more retirement villages to cater to a growing market. 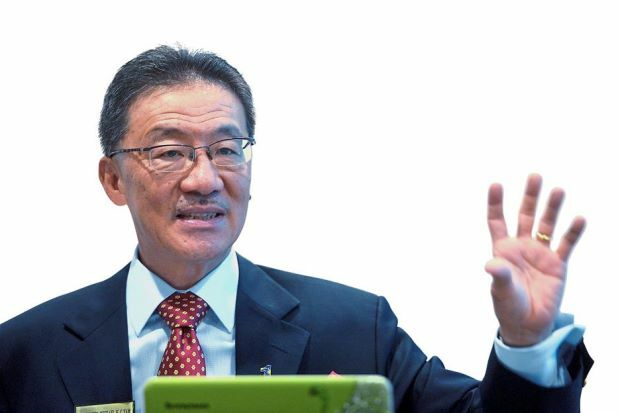 Real Estate And Housing Developers’ Association patron and immediate past president Datuk Seri Michael Yam foresees an increase in demand for properly planned and managed retirement homes in the next five years. “Indeed, by 2030 when an estimated 15.3% of the Malaysian population or 4.9 million are aged 60 and above, we will be an ageing nation. “By then, the stigma of staying in retirement homes or villages would be overcome. The demand for better lifestyles by the 4.9 million citizens would lead to a surge in retirement villages. “And where there is demand, developers would want to fulfil that need,” he says. Assuming that the 4.9 million senior citizens are couples, he foresees there will be a latent demand for about 2.5 million units of retirement homes. Yam says as Malaysia is becoming an ageing population, many big developers have been planning to include retirement homes as one of the components in their large mixed developments. “Currently, most are either at the market research stage or getting their designers and stakeholders to understand and support this diversification,” he says. But even he admits that the cost of such projects may be proportionately higher as such projects would need to be elderly-friendly, accessible and require special fittings. “Hence, it is probably necessary for specialised nursing and geriatric care to be made available. To ensure proper maintenance of these homes, a substantial sinking fund needs to be in place,” Yam points out. Like all property assets, there will be different grades and varying levels of services for different products. According to PlanMalaysia’s preliminary observation, there are four retirement villages in Malaysia – two in Selangor, one in Ipoh, and another in Kuching. Highlighting that the ageing population phenomenon is happening globally, Aged Care Group chief executive officer Carol Yip agrees that retirement facilities will definitely be in demand in Malaysia. She says the Aged Care Group, an organisation that provides aged care services, is discussing with business associates who are looking into sustainable living conditions that are integrated with care. “There will be a market for people who want to downsize their current home due to personal reasons, ‘empty nesters’ (parents whose children have left home) and individuals or couples who want to have hassle-free services for their domestic needs. “In case they need care, the services are available at their door step,” Yip says. She points out that while there are a lot of service apartments and condominiums, many are not age-friendly in terms of its design and amenities. “Having proper facilities and retirement villages in every township is important, because it is part of the social needs of individuals within the community. “By incorporating facilities that include needs of the elderly, we will be able to promote active ageing, integrating generations, cultures, communities, economic and social growth,” she says.